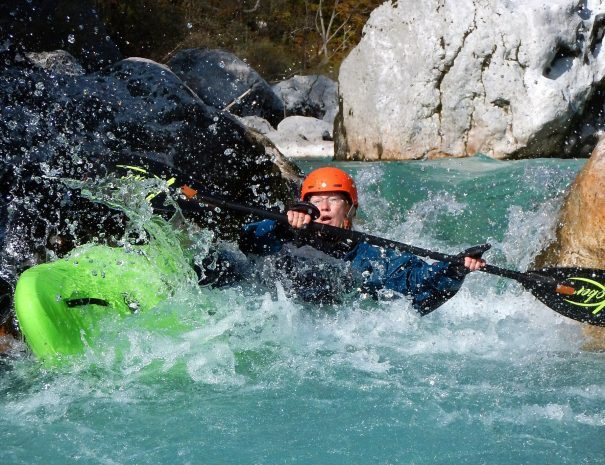 This 2- to 5-day advanced kayak course on the best rivers of Soča Valley is designed to teach you how to paddle serious whitewater of Class III-IV and is concentrated on advanced whitewater skills. 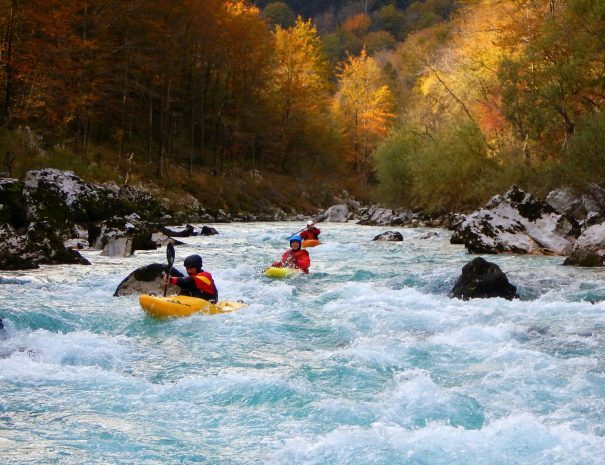 The program is designed to give you the confidence to run different styles of whitewater, whether it’s big volume, technical or steady rapids. 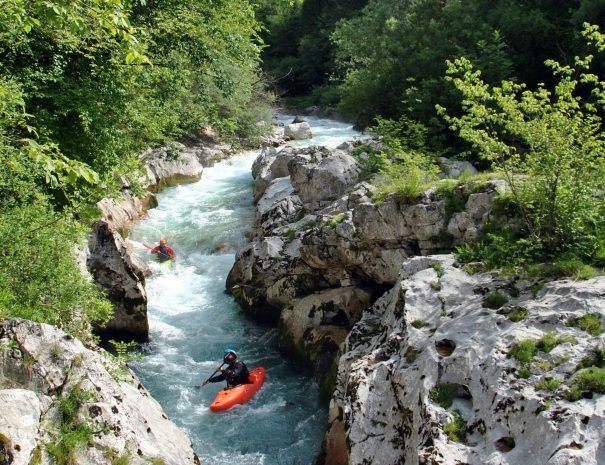 The best way to get used to the Alpine style of river running is by …running it! 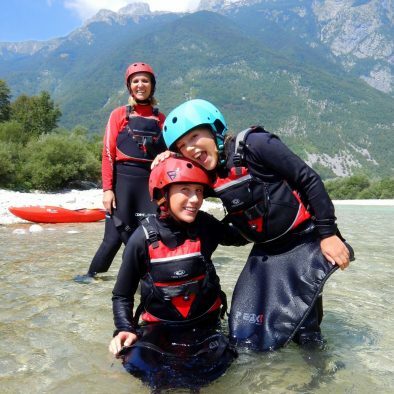 Completed our Improvers course or kayak Class III rivers at least 5 times in the past. 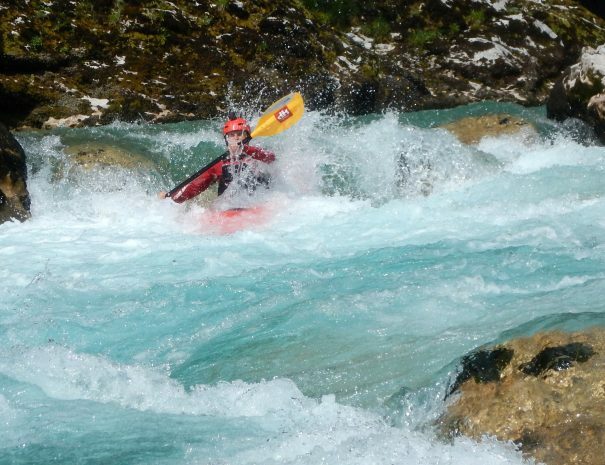 Be comfortable on Class III whitewater. 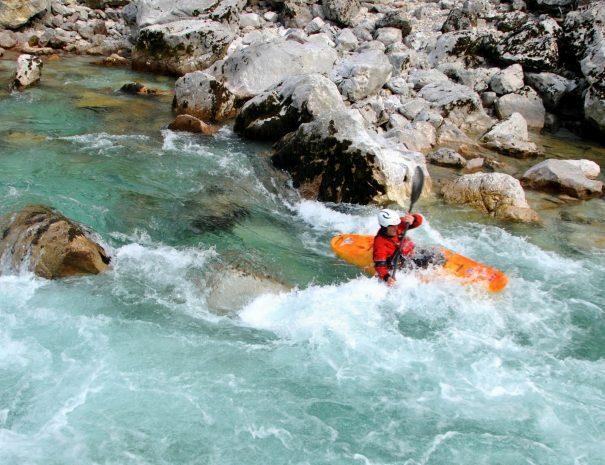 Know how to ferry glide, break-in & break-out on Class II whitewater. 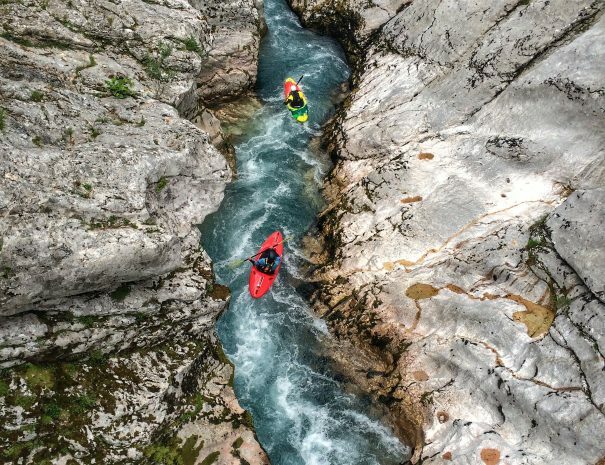 Paddle straight & know how to roll on whitewater. 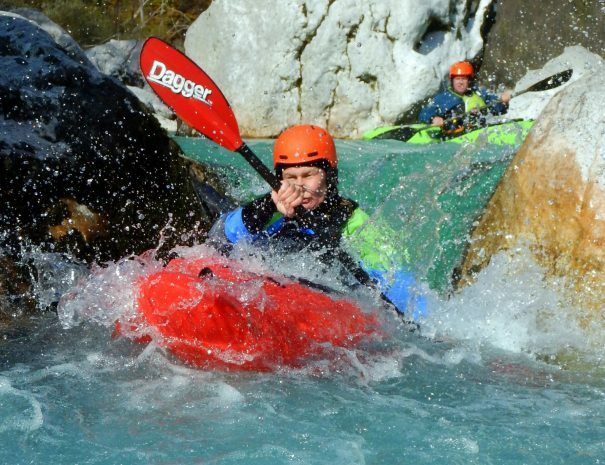 Be able to safely self-rescue on Class III whitewater. 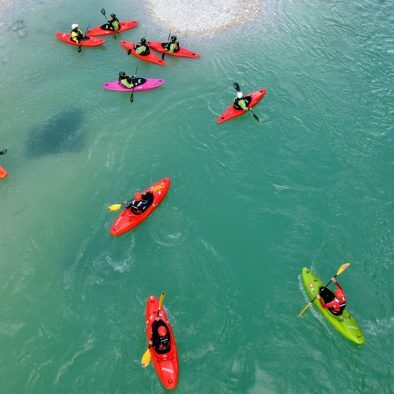 We believe that consecutive days in a kayak makes for better knowledge retention. 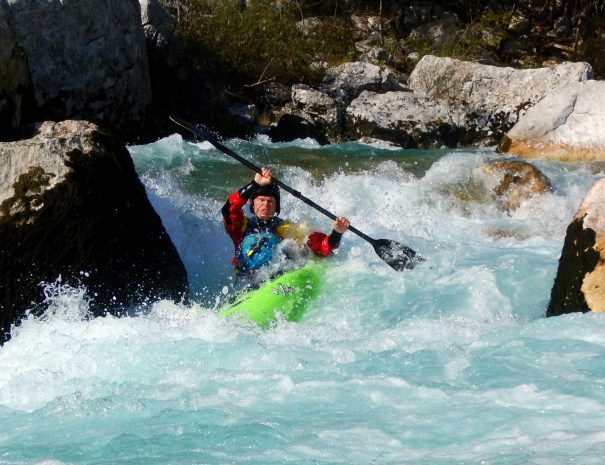 See what you'll learn and work on our Advanced kayak course here in Bovec. 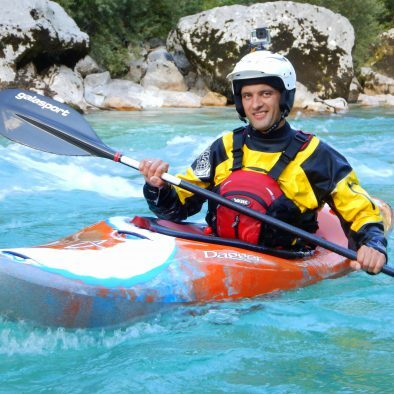 Advanced kayak course runs from April to October. 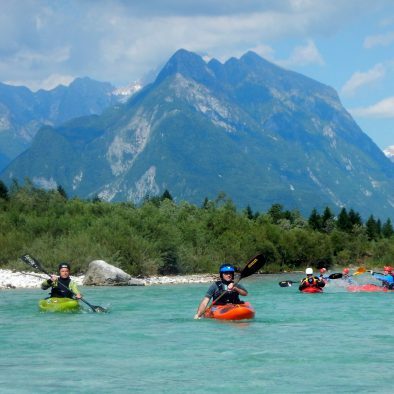 All tours depart from Bovec. Morning activities usually start at 9 am, afternoon at 2pm. Five-day course takes places every week from Monday to Friday. Two- and three-day weekend course takes place every week on Friday, Saturday and Sunday. On request, extra days are possible. Advanced booking is strongly recommended.